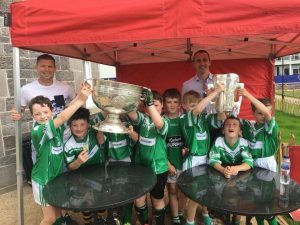 Well done to our Under-10 Hurling and Football teams who played on the Curragh Racecourse for the June Fest. Pictured are the Under-10 Hurlers who played Sarsfields. There was a fine display of skills from both sides. Well done to all who participated and organised the Parish Race Day.